Robert Langdon wakes up in a hospital bed in Italy, shot and no memory of how or why it happened. All he can remember is a beautiful woman sitting in a painting depicting Dante’s Gates of Hell, urging him to seek and find something. A spiky haired woman tries to assassinate him and he flees for his life with the assistance of an attractive young doctor. Sienna Brooks is a doctor, used to saving lives and being in control. She saved a patient’s life and is now being pursued through the streets of Rome by the police, military, mercenaries, and an assassin. The former child actor has a genius IQ and uncertain immigration status that means she does not want to be noticed. Fast-paced and with plenty of action, the plot is tightly written with intriguing clues dropped throughout that reveal a clever but horrific plan. As pieces began slotting together small pieces of the puzzle began to emerge but certain events remained a mystery and I couldn’t understand them, like the head of the WHO and the man she met. Was she working with him or thwarting him? There were a few shocks as people’s secrets were revealed and all the pieces came together right at the very end to display. I did not guess what was coming before it unfolded and I wondered how I missed it. Set in the exotic streets of Florence, medieval Italian literature and artworks are explored, as Dante’s Inferno is key to the plan. History and art buffs will either enjoy this story or pick holes in the authenticity of the story. Fans of a cleverly written thriller will be delighted with this book. I thought the plan was grotesque and so wrong, but worryingly I can see the sensible side of it. 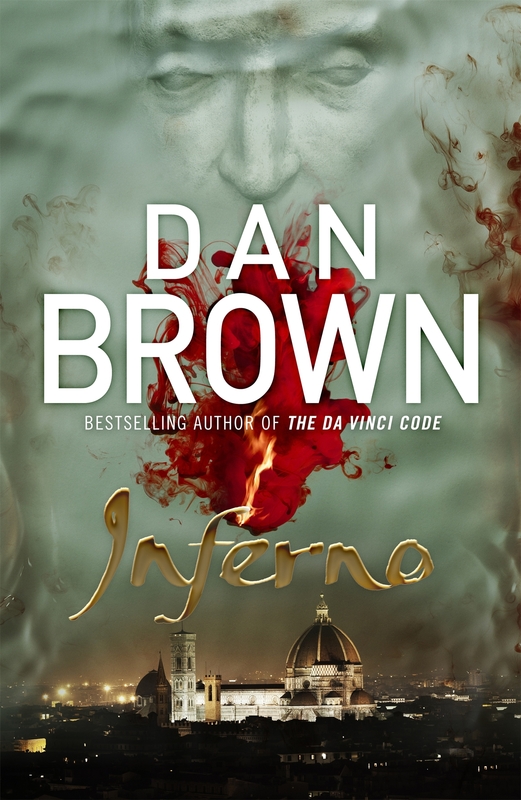 Read this latest masterpiece from Dan Brown. It’s a gripping read. Kirby Mazrachi was gutted and left for dead, her dog died defending her; now she wants to find the others. The other victims of the man who did this to her. She enlists the help of Dan Velasquez a former homicide reporter now covering the sports beat. Divorced and twice her age, he’s cynical and word weary but growing convinced of Kirby’s crazy theories. The killer they’re tracking is Harper Curtis, who has a list of names on the wall and a House with a chilling secret. A time-travelling serial killer. This is a great concept I haven’t read before. I wonder if it is based on actual events, it would explain why so many murderers are never caught. Kirby is such a strong heroine, a survivor who doesn’t give up. Dan contrasts with her well, someone who gave up but is willing to try once more. The characters are lifelike and you get a view of what they are like through the glimpses of their lives before they encounter Harper for the last time. The plot is carefully thought out and there’s a lot going on. The story jumps around to different time periods and POVs of various characters in short chapters. 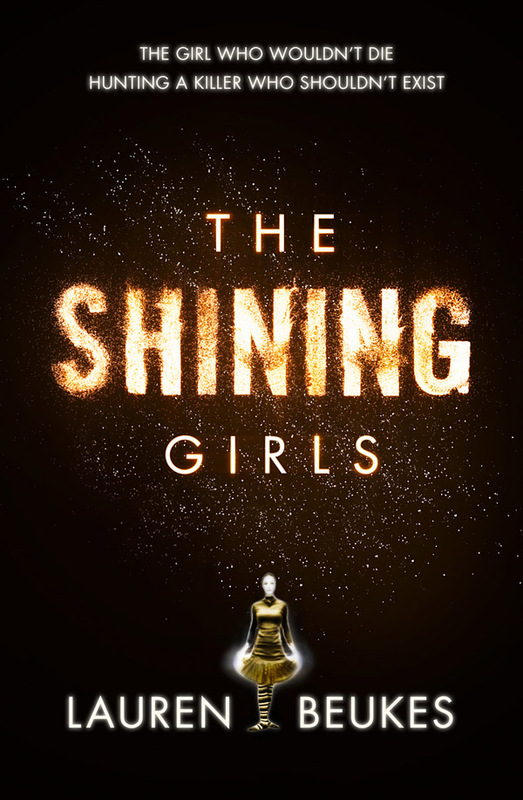 This is a story that’s chillingly addictive and fans of thrillers will enjoy it. Lauren Beukes has written two previous books I must track down and she’s been added to my must read list. 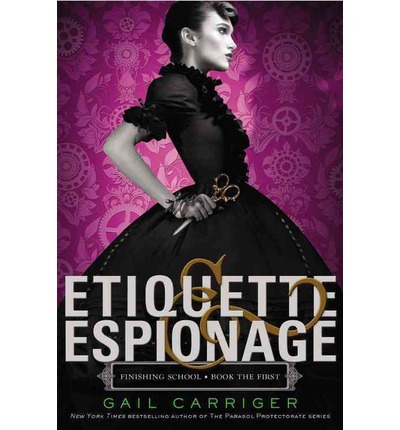 I have no idea whether Queen Victoria would have found the opening scenes of “Etiquette and Espionage” amusing, but I can assume you that I was most entertained. In fact, I can assure you that the whole novel was quite diverting. Though it must be said that the earlier chapters were stronger than the conclusion, which seemed a little contrived, and thus was not entirely satisfying. Set in 1851, about forty years prior to “Soulless”, it is the story of the decidedly rough around the edges Sophronia Temminnick and her first year at Mademoiselle Geraldine’s Finishing Academy for Young Ladies of Quality. “Finishing” in more than one sense of the word, since the curriculum includes skills that have less to do with assignations and more to with assassinations – although a lady would never be so crass as to do such a thing in public. The plot is centred on a stolen device, and the attempts of various parties to conceal it, to copy it, or to capture it. Carriger adds some novel elements to her world – there are flywaymen, who attack carriages and other conveyances using small airships. The school itself is quite extraordinary – but I won’t spoil that for you. (Though I do feel compelled to point out that airships weren’t even invented until 1852 in our reality – and that steam-powered dirigible carried only one person, a Frenchman named Henri Giffard). This is not simply, as some have stated, a steampunk version of Harry Potter. I suspect its roots lie deeper than that, in those interminable series of children’s books set in boarding schools that I can remember from my childhood (such as the Chalet School and Jennings). And, in fact, that suggests that the cover art, which is screaming “YA”, is misleading, and it is. This is a book I would happily give to young girls of ten to twelve years, knowing they’d enjoy it immensely. After all, the heroine is only fourteen. This is a tween novel – not that it can’t be enjoyed by teens or adults, but unlike Carriger’s earlier steampunk novels the whole tone is light, and just a bit fluffy…. cream puff literature, fun, beautifully crafted in its details, but not at all challenging. 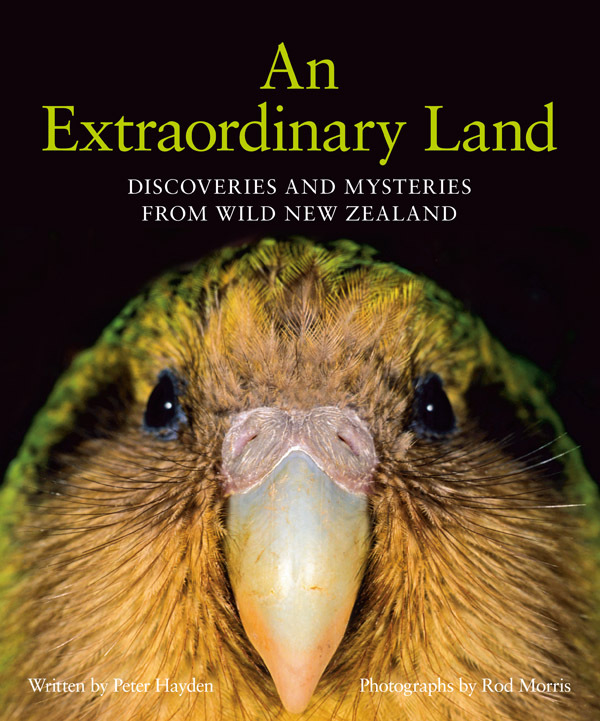 New scientific discoveries about wildlife unique to New Zealand are detailed in a collection of stories in this book. Flowing together seamlessly and sensibly organized, some stories look at the unusual behaviour and strange life of animals, such as what nocturnal birds do at night and little blue penguins also do not like living in cold places. Interesting knowledge is shared; did you know not only birds are responsible for pollination? Lizards and bats also help plants pollinate. The efforts of people and organizations battling to safe guard the future of New Zealand unique natural environment are noted and their dedication is amazing to hear about. Written so the layman can easily understand it, the stories offer an up close view of the fascinating world and inhabitants of is natural New Zealand. The writing is warm and friendly, sharing a glimpse into the personal experiences and memories of the writer and photographer. The photography is splendid and seems to be alive on the page. Rod Morris has been wildlife photographer for years and all the photos in this book are stunning. The pages of this book are a high grade, glossy paper and it enhances the colour. Anyone with an interested in nature or curious about New Zealand will love this book. It will also appeal to anyone who likes a well written story enjoys stunning photos. I highly recommend adding it to the collection on your shelf. It is said, “Do not meddle in the affairs of Dragons, for you are crunchy and taste good with ketchup!” – and Hobb is not afraid to let her characters prove this quite literally. There is a scene around p428 where one particularly nasty individual is bitten by a big one in a manner distinctly reminiscent of the fate of a certain lawyer in Jurassic Park. Absolutely brilliant! But if you think that makes this an especially violent novel, you’d be wrong. Hobb does not even go into detail about her climactic battle, but prefers to skip the gory bits, cleverly telling the story through the characters retelling of events. And it is the climax of not just one book, but of what is described as a four-volume novel, and that resolves issues that have been brewing across more than one series. Yet it works. As does Hobb’s world. I’m not sure which, if any, of the Rain Wild Chronicles I’ve read, though I do remember enjoying all of the Liveship Traders. Missing a few books wasn’t really a problem. Hobb draws the reader into her world with consummate skill. No dodgy continuity here, but solid plot development instead. That same skill is applied to the construction of that world, and hers are maps that work. Her characters are complex and interesting, and as they evolve and come into conflict they very much drive the story. And as for her dragons… Not since the days of McCaffrey’s best work have dragons been so cool! 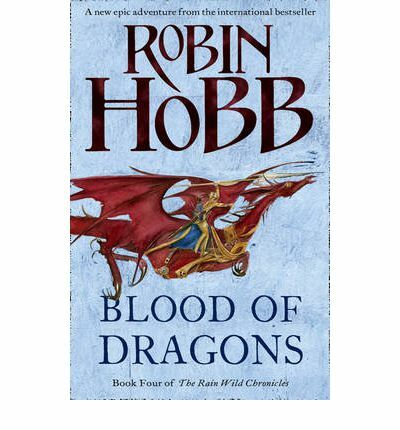 Suffice it to say that I thoroughly enjoyed “Blood of Dragons” and that I’m seriously tempted to go back and find the earlier books in this series!